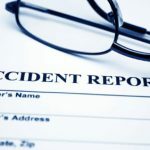 Lawyers have warned that all injured workers will soon have to pay their legal costs under new workers compensation laws which could potentially leave many unrepresented victims or unreported claims. Richard Brennan, a Sydney solicitor who represents injured workers claims, warned that Christian Democrats MP Fred Nile had mistakably made it increasingly difficult for injured workers to have their claims heard. Nile has come under fire for amendments made to workers compensation laws which were allegedly aimed at helping eliminate costs. Brennan stated that Nile’s attempt to save one out 1000 workers from paying insurance company costs, has instead insured that all 1000 workers will have to pay the fees.He warned that this could potentially lead to insurance companies paying lawyers any fee they desire. The Labor MP Adam Searle and the Greens MP David Shoebridge fruitlessly attempted to explain the consequences of the changes to Nile but the government has defended the amendments that they believe will rein in on the $4 billion WorkCover deficit.